You know what makes you a million times more likely to implement what you learn in this video today? If you take notes! Write down what sticks out to you. 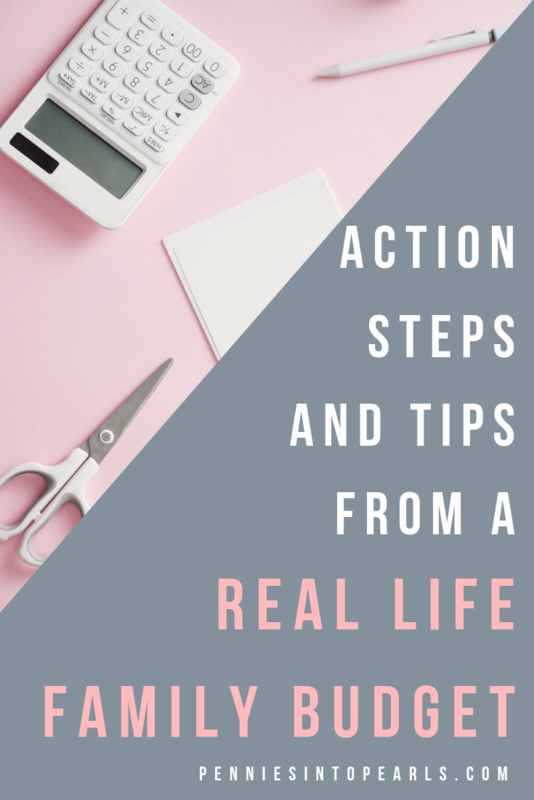 What action steps can you start implementing in your own real life budget for your family? To make this process a bit more simple, I put together a cute FREE printable to assist in your note taking and action taking. Sign up for my free weekly email newsletter below to get your free printable. You are going to love meeting our Pearl Missy! She is a wife and mom to three girls. To say she is a busy lady wouldn’t do her justice! Her and her hubby have worked their booties off and made some major sacrifices to be sure that their real life budget is aligned with what their family values most. 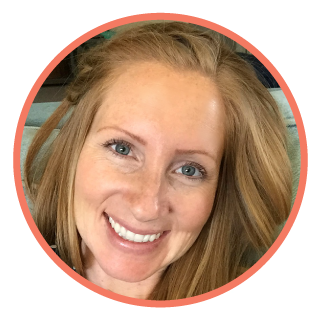 Want to Share Your Financial Rescue Story? If you are interested in sharing your story of rescuing your family finances you can apply here to do a one on one chat with me! Super fun! Remember, you don’t need to have paid off crazy amounts of debt or achieved an unbelievable dream. It’s the small wins along the journey that offer so much insight when shared with others! 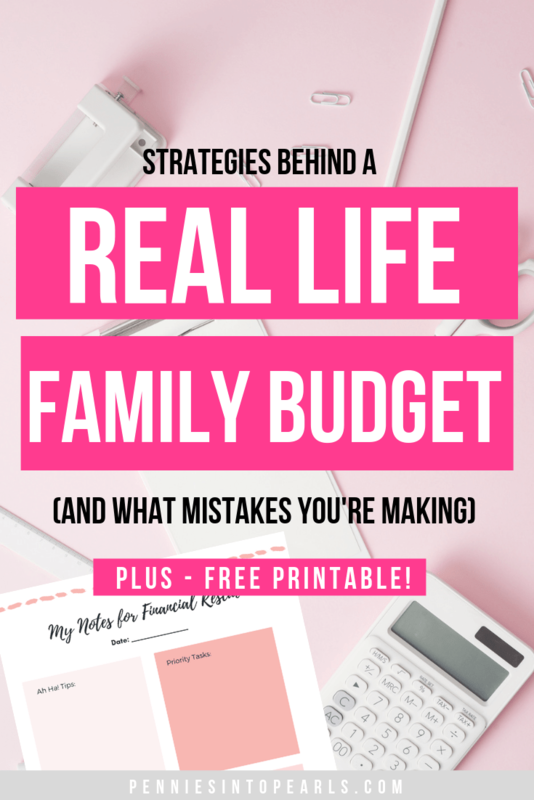 If you are working hard at rescuing your family finances and have had big or small “ah ha!” moments, that’s what I want to chat with you about! Are you feeling inspired to share your story with our Pearl family? Help motivate other Pearls to stop living that paycheck to paycheck life! You can apply here. If chosen you will receive an email with further instructions for scheduling a video chat.